A recent systematic review/meta-analysis (WG Sharp, VM Volkert, L Scahill, CE McCracken, B McElhanon. J Pediatr 2017; 181: 116-24) by my colleagues at the Marcus Center and Emory indicate that intensive, multidisciplinary treatment for pediatric feeding disorders is a game-changer. The authors identified 11 studies with 593 patients. Key finding: After intensive intervention, 71% were successfully weaned off tube feedings at the completion of the intervention and this improved to 80% at last followup. Treatment was also associated with increased oral intake, improved mealtime behaviors, and reduced parenting stress. Based on the results of their review/meta-analysis, the authors provide a summary of recommendations for “standard of care at intensive day and inpatient programs.” This lists the professional team which should involve at a minimum: psychology, medicine, nutrition, and speech language/occupational therapy. Treatment needs active participation of caregivers so that gains will not be lost when intensive treatment is completed. Behavioral intervention is central to success. My take: This study provides justification of intensive feeding programs. That being said, the individuals/programs with the appropriate expertise to achieve these results remain quite limited. 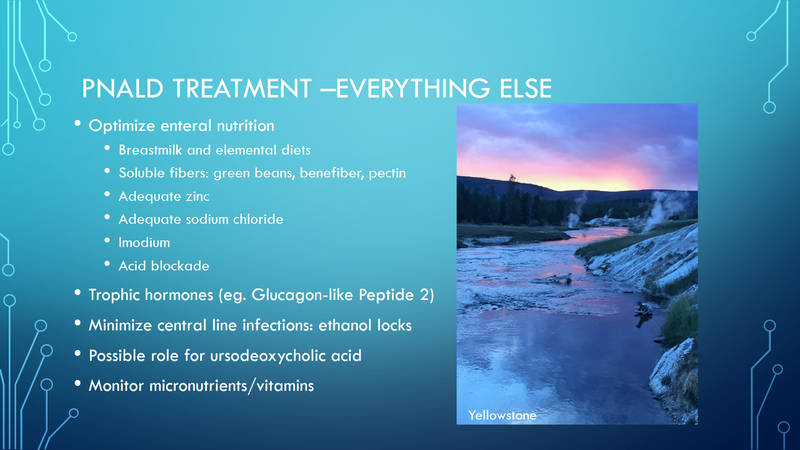 The other subjects discussed for PNALD treatment included management of bacterial overgrowth, possible role of STEP surgery, and lipid management strategies. 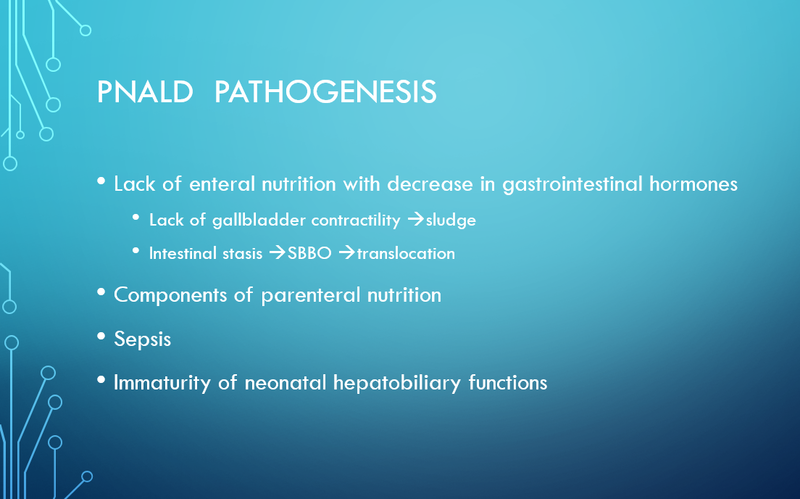 This entry was posted in Pediatric Gastroenterology Intestinal Disorder and tagged feeding disorders, gastrostomy tube, parenteral nutrition associated cholestasis by gutsandgrowth. Bookmark the permalink.